AdventHealth is making it easier for employees to get screened for colorectal cancer. Join us for a bite to eat while you learn more about colorectal cancer, risk factors and how YOU can get screened. The AdventHealth Employee Colorectal Screening Program's goal is to help connect employees with the right knowledge, providers and screening tests for colorectal health. 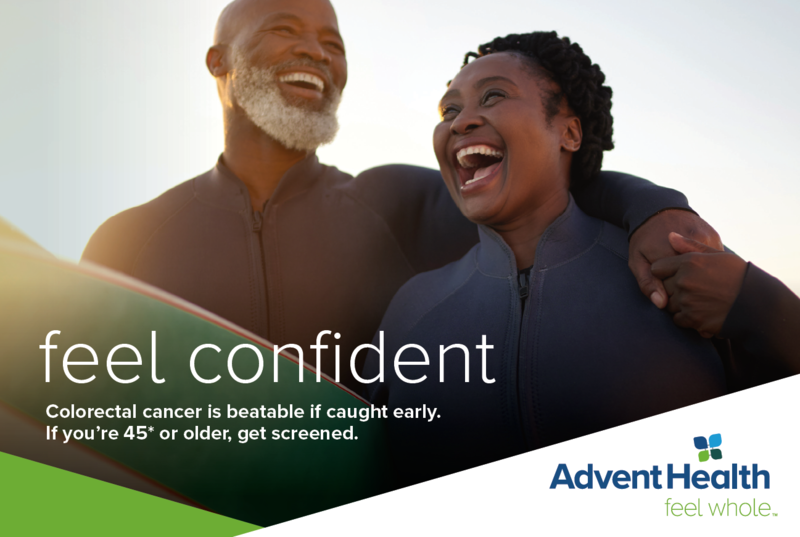 Providers from the AdventHealth Digestive Health and Cancer Institute will be available to answer questions and help recommend the right screening test for YOU, including an at-home screening option. Employees that sign-up for a colorectal screening will be entered in a raffle for gift card prizes at each program, and one large item will be raffled off at the end of the pilot in June.